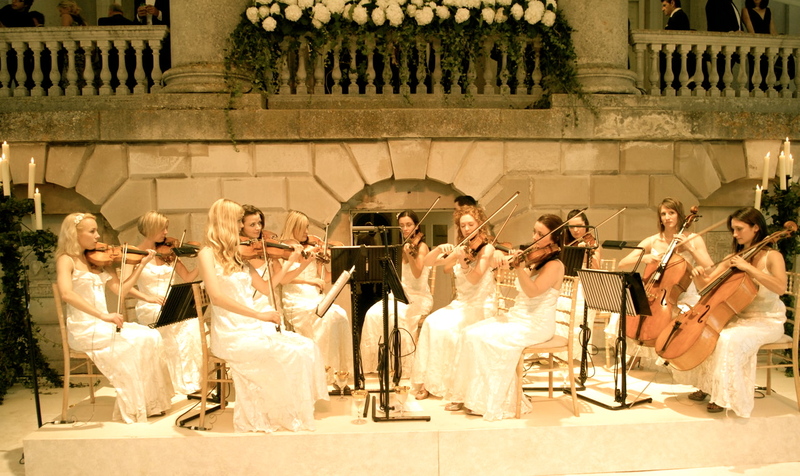 Young Guns’ string octet, Octavia, is an acclaimed group of all-female classical string performers, consisting of four violinists, two viola players, and two cellists. Sourced from London’s top music colleges, they create a sophisticated classical atmosphere, with the added quality that comes from a larger group of highly trained musicians. 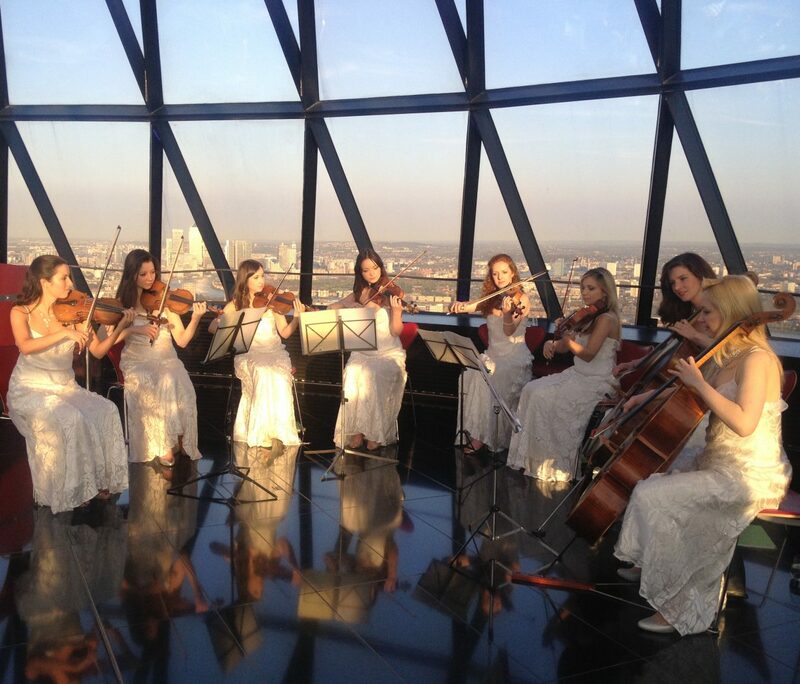 With a traditional classical and jazz repertoire that is perfect for ambient background music at high-end events, Octavia have played at some of London’s most exclusive venues including: 30 St. Mary Axe, Annabel’s, and The Natural History Museum. Wearing graceful white dresses, they will cloak your event in elegance and enchantment. They are ideal for private functions such as weddings.